My work as a software developer requires absolute focus and any unwarranted noise puts me out of my zone. However, we live in a noisy world and the trend for open office exacerbates the noise problem. The phone that is ringing at maximum volume slices my eardrums like a sharp knife. Even in the safe bastion of my home, a motorcycle that goes thundering down the road makes me wish I had a heat-seeking missile. In my quest for absolute silence, I found the safety earmuffs and learned some acoustical physics. When I first had the idea of using earmuffs for silence, I wasn't sure it will work. After all, aren't earmuffs for professionals who deal with loud engines or sawing and drilling? Wearing safety earmuffs to do programming seems hilarious. 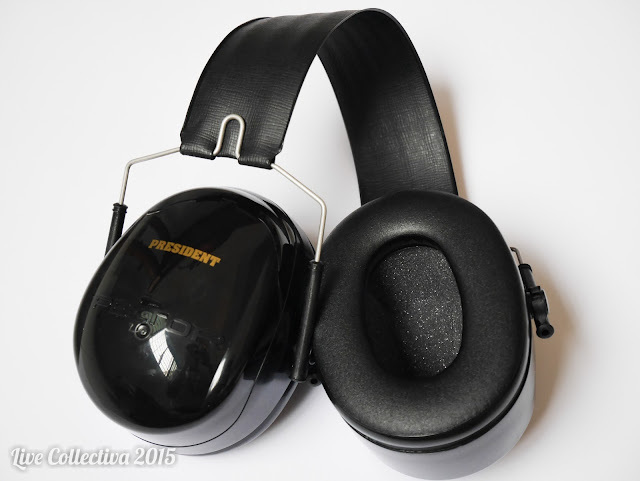 Eventually, I bought two 3M Peltor earmuffs from Amazon: the President ($16) and the X5A ($25). I have been using them since and my verdict is: both are good with slight variations. The 3M Peltor President looks sleek and fitting for an office environment. Other models are in neon-green or bright-yellow so co-workers can spot your head easily when you are wearing one. As the President is black, it looks more like an over-sized wireless headphones from afar. On closer inspection, you can see the word, "PRESIDENT" printed in gold on the glossy shells. Lastly, the head band is in faux leather that completes the look. On my scale, it weighs 254 grams. The 3M X5A is part of the Peltor series too and the overall quality feels like an upgrade over the President. 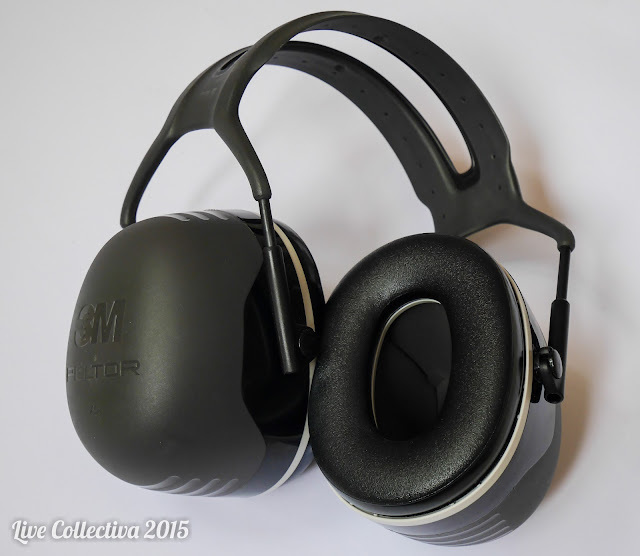 The shell is a matte grey and the thick plastic headband holds the muffs sturdy together. The name and look of this earmuff gives off a serious aura. It has a look that belongs on a SWAT team outfit. At 349 grams, it is 37% heavier than the President. 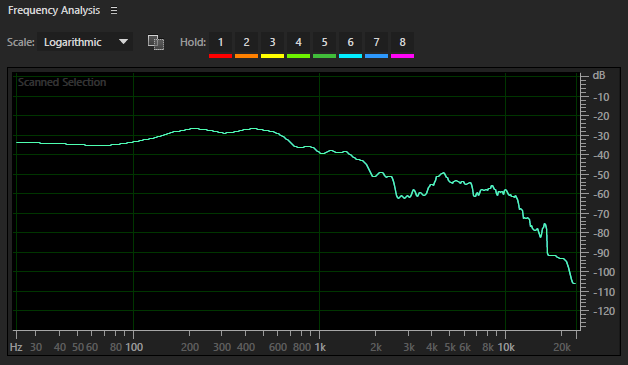 In comparison, my Sony MDR-V6 headphones is 221 grams and the Howard Leight L0F earmuff is 176 grams. The X5A is considerably heavier on the head. When I bought the President on Amazon six months ago, it was $20 and the price has dropped to $16. Amazon updates the prices every now and then so click in to see the latest prices. I have included the Howard Leight L0F earmuff, which I no longer use, in the table for comparison. It is half the size of the 3M and much lighter. However, the bad cushion and low noise reduction rating leaves much to be desired. The comfort of an earmuff is important. I'm wearing it to cut out the distraction of noise in my environment so an uncomfortable earmuff, which distracts me from my work, defeats its primary purpose. If your working environment is a noise hazard, noise reduction takes a higher priority over comfort. Fortunately, you do not have to compromise comfort over safety. Both the President and X5A earmuffs have excellent noise reduction and are still so comfortable that you can fall asleep wearing them. Instead of foam, both earmuffs use gel for the cushions. The advantages of using gel is two-folds. The gel shifts to fit the shape around your ears: eliminating pressure points and providing a better seal. As a result of a good seal, no air can flow through the gap between your skull and the cushion. To get an idea of what bad sealing sounds like: cup a mug over your ear and you can hear the howl of moving air amplified in the mug. This effect is replicated on a softer scale with a bad seal and can be distracting. 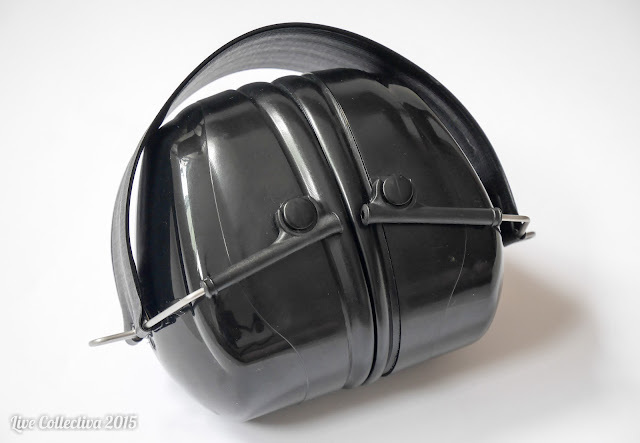 The cushion surface, on both earmuffs, is a textured plastic. 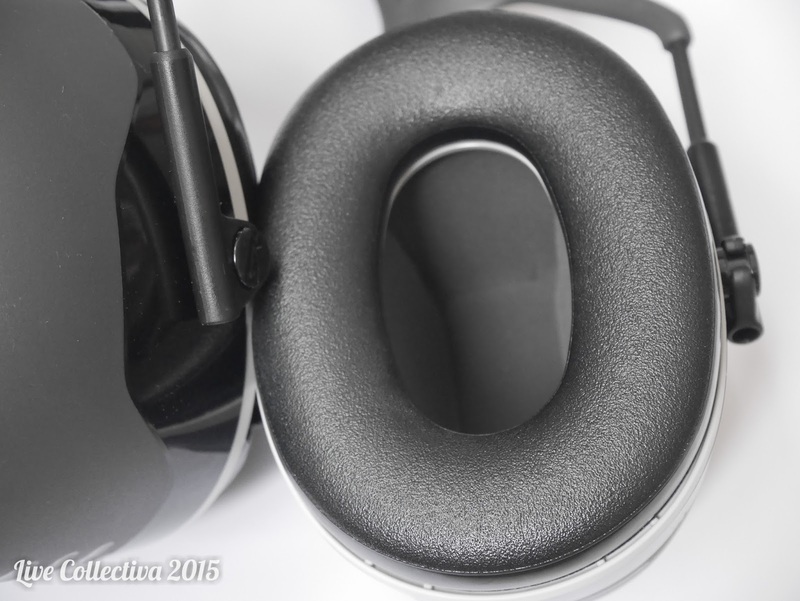 It feels soft yet durable: unlikely to tear and flak like those cheap headphones. Cleaning facial oil off the cushion needs only a quick wipe with a damp cloth. In a cool environment like an air-conditioned office, you feel little heat buildup from the cushion. At room temperature, I will take off the earmuff every hour to let off a little heat. 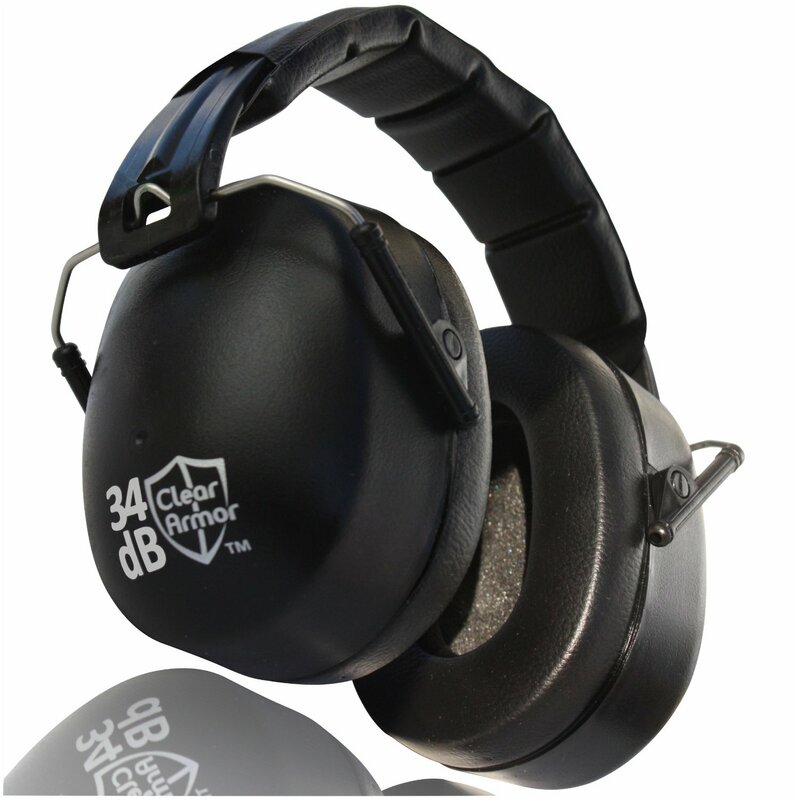 All earmuffs have a Noise Reduction Rating (NRR) that determines how much sound is attenuated (in decibels dB) when wearing it. A higher NRR number means more noise is reduced. The 3M X5A has an NRR of 31 dB and the President's NRR is 26 dB. I have copied out the attenuation table on the box of the 3M X5A below. The earmuff performance varies with different frequencies. It attenuates 23.9 dB for 125 Hz and increases to 43 dB as the frequency increases. Achieving total silence even when using a good ear muff is more difficult than you think. In a silent environment, the human ears are very sensitive and can pick up very tiny sounds. The original purpose of an earmuff is to protect our ears from prolonged loud noise and to not remove noise totally. Besides the NRR of the earmuff, two other factors that determine what we can hear. The human threshold of audibility represents the lower limit of our hearing. Below a certain frequency and intensity, the sound does not register in our ear. 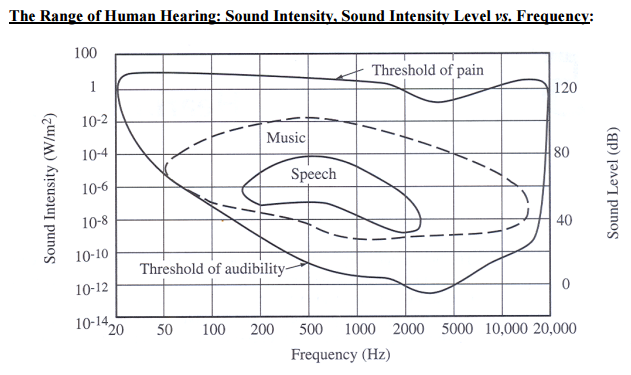 The UUIC's Acoustical Physics lecture on the human ear has a diagram on the Range of Human Hearing. The threshold in the diagram is for a healthy human ear. Our hearing range will decrease with age or with prolonged exposure to loud noise. The next factor is the sound itself. We will focus on the sound of the human voice because it is the most common source of noise. It also has more impact as our ears have evolved to be sensitive to the human vocal range. Using a sound recording of a male voice speaking for 30 seconds, I generated the frequency analysis of the speech. The Y-axis on the frequency analysis graph is a relative scale: 0 dB represents the peak dB and the recorded sounds are measured as the relative pressure below the peak. We can deduce this from the graph: our voice power is the highest at 200 to 500 Hz as it has the shortest distance below the peak. It then decreases by 10 dB at 1000 Hz and a further 20 dB at 2000 Hz. The distance of our ear from the source of the sound affects its intensity. The Engineering Toolbox page on Voice Level and Distance has calculated how much the decibels decreases the further we stand away. I have reproduced the table below. At about 4m away, a human conversation will be around 45 to 60 dB. Putting this information together, we can work out effectiveness of the earmuff in blocking out the human voice. Using the 3M X5A attenuation table, I calculated the attenuated sound at different frequency first with a normal voice and then a loud voice. For example, a normal voice is 70 dB at 0.3 m. The 3M X5A reduces the sound by 30 dB at 250 Hz, giving us 40 dB as the attenuated sound. To account for the voice power falling off at the higher frequencies, I further reduced the voice level at 1000 Hz by 10 dB and the 2000 Hz by 30 dB. In the table, there is the minimum sound intensity our ear can pick up under each frequency. This number is taken from the Range of Human Hearing diagram earlier. For example, it is 25 dB at 250 Hz. If the attenuated sound after passing through the X5A is 40 dB, we can hear it because it is more than 25 dB. I then map out what is audible by calculating the attenuated sound at each frequency. The final result validates what I experienced in my daily use. When the human conversation is taking place at three metres away, I can hardly make out any sound. At 1.5 metres away, I can make out some part of the speech. The higher frequency consonants are filtered away. Without consonants, the human speech is intelligible as the consonants convey most of the word information as explained by Hound Dog's Hearing Loss and Speech Intelligibility. The earmuff uncannily simulates what we will experience as we grow older and our hearing threshold increases. Intelligibility of a speech plays an important part on what we perceive as noise. If our brain cannot understand the speech, it does not process the signal further and discards it as noise. Sit in a bus in a foreign country where the couple beside you is speaking in French (assuming you don't know), their conversation is just noise. When you can understand the speech, your brain cannot help, but process and analyse the details. To achieve noise reduction, the earmuff uses a hard shell that encloses a layer of acoustic foam made from polyurethane. The hard shell blocks some sound and the rest is passed to the foam as vibrations. The sound is attenuated as it requires more energy for sound to travel through foam than air. The foam in the 3M X5A is dense as the cells are tiny and you have to look closely to make out the individual cells. When I press my fingers into it, it takes efforts to push down the foam and restore its shape quickly when released. In the 3M President, the foam is less dense and the cells are clearly visible. The difference is obvious in the side-by-side pictures below. The foams are about two cm thick, leaving a large cavity in the shell. There is plenty of space for your ears that minimises contact with the foam. A larger space also provides more opportunity for sounds to bounce around the foam and die off. The shell of the X5A and President have similar design except for the foam that is used. When using the earmuffs, I can clearly hear the difference between the different foams. The denser foam provides an extra 5 dB NRR and the 3M X5A cuts out a lot more sounds than the 3M President. For example, the X5A will cut out the television noise and anyone attempting to talk to you. Whereas for the President, you can still hear the peaks of the sounds in a human conversation. Background noises like footsteps, shuffling of papers, heavy breathing are totally filtered out. When you are typing on the keyboard, there are soft muffled sounds as you hit the keys. Majority of the sounds are muted. But the high-pitch sound of the telephone still reaches my ear and it is annoying. There is one thing you should be aware of: as the environmental noise approaches zero, most people will notice a ringing in their head (it doesn't exist). I remember hiding inside my wardrobe as a child and noticed the ringing sound. Wearing a good earmuff or stuffing both fingers in your ears have the same effect. If you do not focus on the ringing sound, it is unnoticeable. Otherwise, the psychological effect can range from mildly distracting to unbearably irritating. Putting on a brand new earmuff can be a discomforting experience at first. The head band will be tight and needs to be loosened. My way of loosening it up is to hold both cups and stretch it apart wider than my head several times. When I am not using my earmuff, I clasped it on my bookshelf speaker to keep it loose. An overly tight earmuff applies pressure on your skull and can give you a headache. The thick plastic headband of the X5A adds more weight and is not very flexible. One advantage that the President has is the more flexible headband that allows the shell to fold inwards, making it more compact for travel. There is another best seller on Amazon that is the Clear Armor 34 dB NRR. That is highest rating I have seen so far and looks comfortable too. I will give that a try when I have to replace my earmuffs. Image from Amazon. I don't own one so this is Clear Armor's product photo. 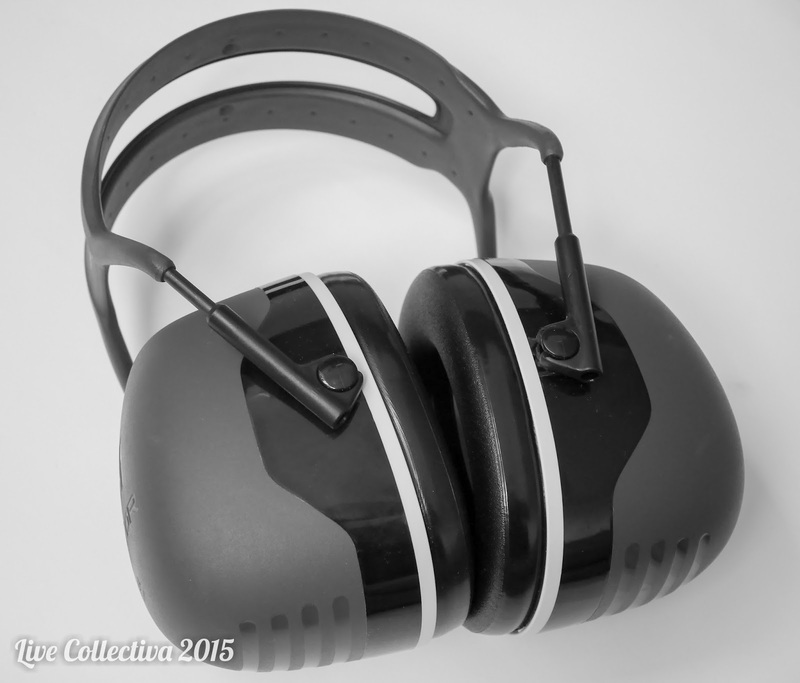 Apart from using an earmuff, foam ear plugs are a cost effective solution too. I use them when some quiet is needed while sleeping. They take a little longer to put on as you need to squeeze the foam and wait for it to seal the ear canal. You will also need to clean out the ear wax that is stuck on the foam. Sometimes it is better to stop the source of the noise. You can turn off the telephone ringer volume or place a carpet in your room to reduce echo. Moving to a quiet environment such a library to work can be an effective solution too. Both earmuffs have become a necessary part of my life. I have one at work and one at home so I do not have to bring it around. Choosing one over the other is tough. Cost-wise, the difference of around $5 to $10 is not big enough to influence my decision. It ultimately depends on you want: looks, weight or sound reduction. The 3M Peltor President is light and more portable. The 3M X5A has better sound reduction capability. For me, I will pick the 3M X5A. There are many other brands and models of earmuff on Amazon which you can shop around before settling down on one or two. By now, you should have learned quite a few things on earmuff that help you make a sound decision.